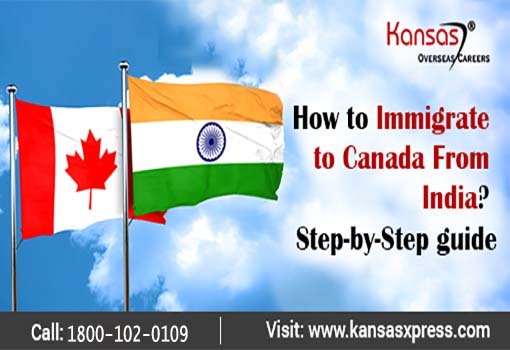 Before we understand the procedure to immigrate to Canada let us check out the reasons for which people want to immigrate to Canada. This country has immigrant friendly immigration policies. Canada is a safe country where one can settle down with their families. There is no dearth of employment and growth opportunities for the right candidate. One also gets to enjoy a good quality life. Many Indians migrate to Canada as they get some really good work opportunities. There are a number of Indian already settled in Canada. Indians help Canada overcome the skill shortage and they give a boost to the economy of the country. The permanent residents get a number of benefits like social and medical benefits and many other services and facilities. Canada has many different immigration categories. This is mainly to help more number of people to immigrate to Canada. Some of the immigration categories are Federal Skilled workers programme, Quebec Skilled workers programme, Provincial Nominee programme etc. Some of these programmes are based on the point based system. The candidate needs to score points. These points are based on different factors like skill, education, work experience, proficiency in English or French language etc. The main aim of the candidate is to score more number of points which will help the candidate get better rankings. Better the rankings better will be the prospects of the candidate getting the invitation to apply for the permanent resident visa of Canada. The education credential assessment document is the first document that you will need. It is to endorse that the educational qualifications of the candidate are at par to the Canadian education system. IELTS language ability report is also one of the essential documents. It shows that the candidate has good competency in English language. Good scores in the language proficiency test will help the candidate score more points. The candidate needs to submit the Express entry application online and get the comprehensive ranking system score. The candidate must try to improve his score by learning the French language, by improving in language test scores, improving his skills or by getting additional qualifications etc. Getting provincial nomination is one of the best ways of getting selected in the express entry system. Once the candidate gets selected in the express entry draw he will get an invitation to apply for the visa. The candidate will have to submit documents like identity proof, valid passport, educational qualification documents, work experience details, job offer letter from Canadian employer etc. You will have to pay for certain documents. The educational credential report is given by the World education services but the candidate will have to pay a certain amount of money for the same. The candidate also needs to pay for the IELTS certification test. Industrial workers and tradesmen will have to submit proof of technical proficiency. Best immigration consultants can help in providing the complete details. Once you get selected you will have to bear the cost of migration but at the same time you will also have to submit proof of funds. This is to show that you can support yourself and any dependants that are travelling with you during your stay in Canada. There are a number of things that need to be considered while applying for Canada immigration. It is important that you known the procedure for immigration in detail. It is necessary that you follow each and every step properly. A single mistake can result in rejection of application. This will be waste of time and money and you will have to go through the tedious procedure of reapplying. To avoid these issues it is better to take advice and guidance from a good and reputed visa consultant who can provide proper guidance. if you want to immigrate to canada you can fill the free visa assessment form and Walk-into one of our offices and start your visa process. Woah this site is extremely good i like looking through your content regularly. Keep up to date the great art! You understand, a lot of people are searching rounded with this information, you could possibly help these folks greatly.